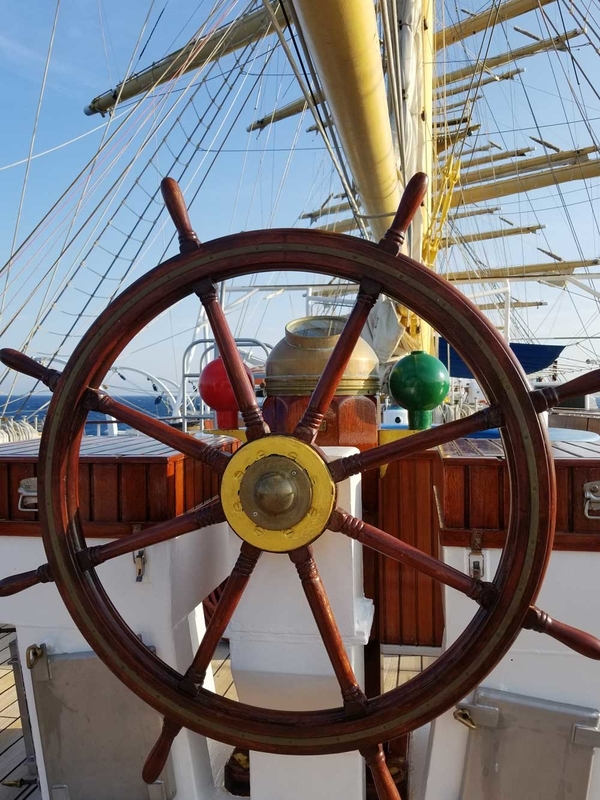 One week after the Cannes Film Festival, I took a familiarity trip, Western Mediterranean with Star Clippers Line, aboard the current largest sailing yacht sailing today – the Royal Clipper. At 439 feet long, sporting five masts and 42 sails, she’s a beauty. Carrying 106 crew, and 227 passengers at full capacity, we enjoyed a 1 crew to every 2 passenger ratio, presenting really excellent service. The destinations were fantastic, but the star of the show was really the Royal Clipper. It was my first time ever actually sailing, and I’d been warned that there would be movement. I was worried, because I can from time to time get seasick. This was an entirely different experience, in which I experienced zero motion sickness whatsoever. To the contrary, as the ship sails, the movement is very soothing, especially when falling asleep! 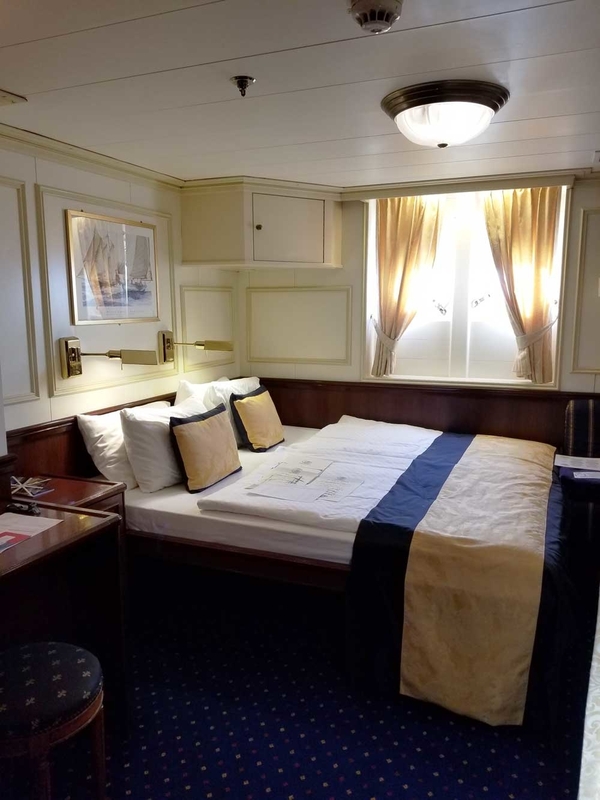 I spent my time in a Category 3 Ocean View Stateroom, and I couldn’t believe the space! There’s tons of storage hidden cleverly all around the cabin, and a spacious bathroom to boot. Related: Sail In Luxury With Star Clippers Tall Ship Yachts! The ship (and the entire line) has an open bridge policy. What this means is that if you wish to visit with the captain, and learn about navigation, you absolutely can. Only two passengers are allowed actually on the bridge at any given time, but there’s plenty of time during the sailing for you to drop by. Navigation classes are available. You can also learn how to tie nautical knots, climb the mast, or even lie out in the bowsprit and catch some sun. There’s a ceremony each evening, coupled with champagne, while the sails are raised, accompanied by a majestic old seafaring song. 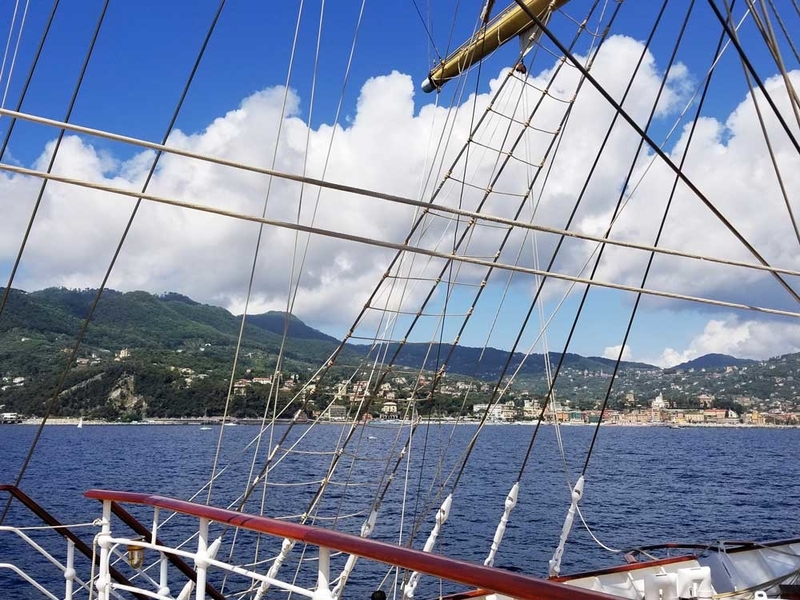 Your sailing experience aboard the Royal Clipper is as immersive as you want it to be, or if you’re only interested in the destinations, not a problem. Those are wonderful as well! At most of the ports, the Royal Clipper anchored offshore, with tenders running back and forth the whole of the day. Not once did I have to wait in line to disembark, or return to the ship. The tenders will take you right to the heart of the action, with a picturesque view of the port from the ship. At first, taking photos, I tried to avoid capturing the rigging until I had the epiphany that it made the experience all the more wonderful, seeing it from that perspective. After all, I was on the biggest tall ship in the world – it’s even in the Guinness Book of World Records! 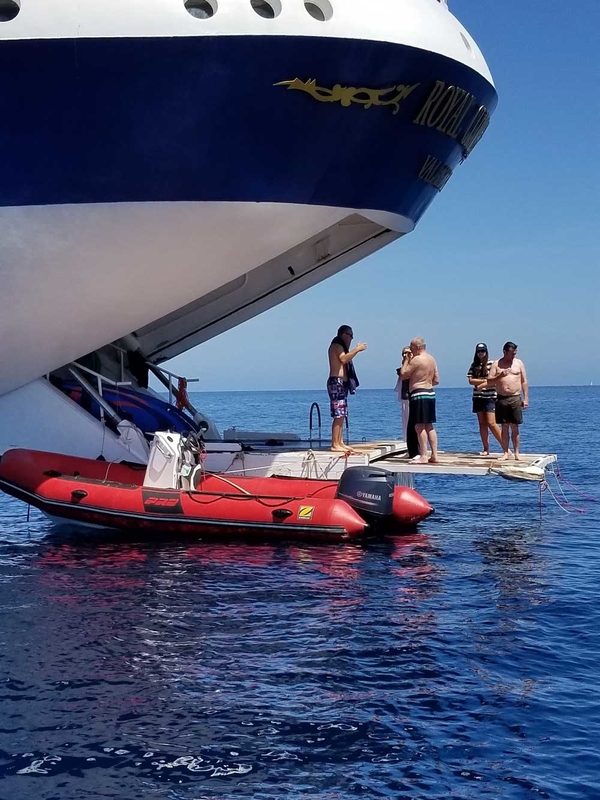 If you prefer staying on the ship while in port, you can choose from a wide variety of water activities on the aft platform, from snorkeling, to aquatic toys, to kayaking and paddle-boarding. 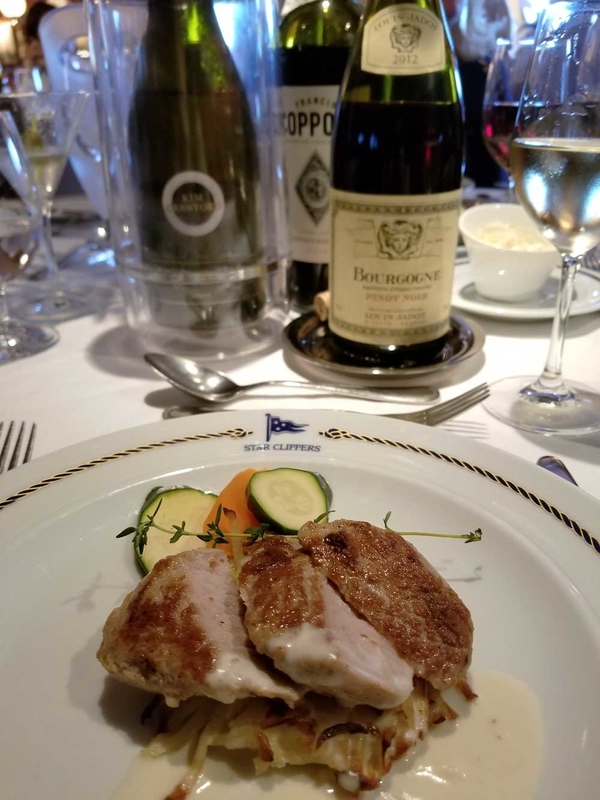 As far as dining is concerned, dinners in the Royal Clipper dining room are fantastic. The menus were well-thought out and very fresh, with exciting combinations and specialties. There’s also a staggeringly good wine selection as well. Related: Enjoy Breathtaking Destinations And 5 Star Service With Star Clippers! Star Clippers also offers a great selection of shore excursions. On my sailing, I took two, and they were wonderful. The first was called Corsican Tales & Legends, and was a two and a half hour walking tour of Bastia, Corsica, with a local guide giving the tour in both English and German. We visited several landmarks, churches, learned of local traditions and history, and experienced breathtaking panoramic views. The second was the Napoleon Tour in Portoferrario, Elba (Italy) – where Napoleon Bonaparte was first exiled. The first part of that excursion took us to his home there, with stunning views of both mainland Italy and Corsica, seen across the water on either side of the horizon. 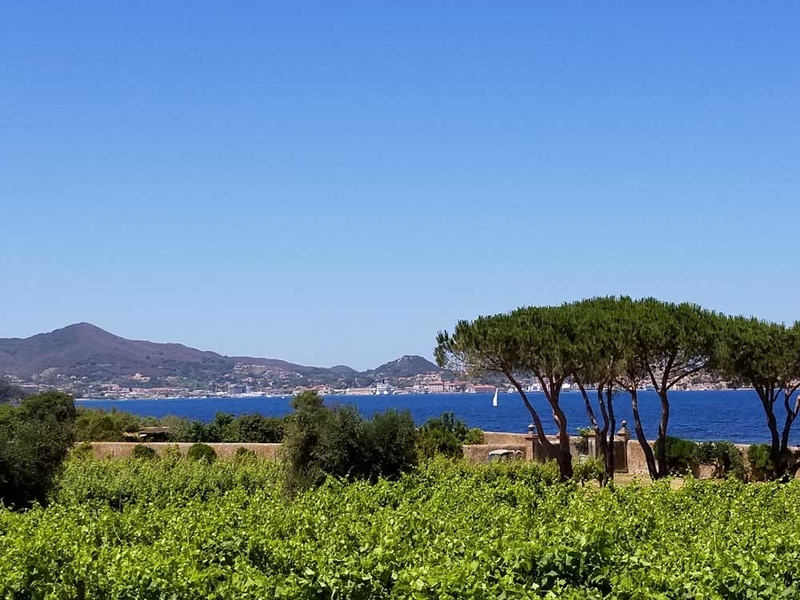 The second part of the tour took us to a beautiful agriturismo, where we sampled different wines produced in Elba, along with snacks, with an exquisite view. If big ships, shows, casinos and water slides are your thing, then this may not be the best fit for you. 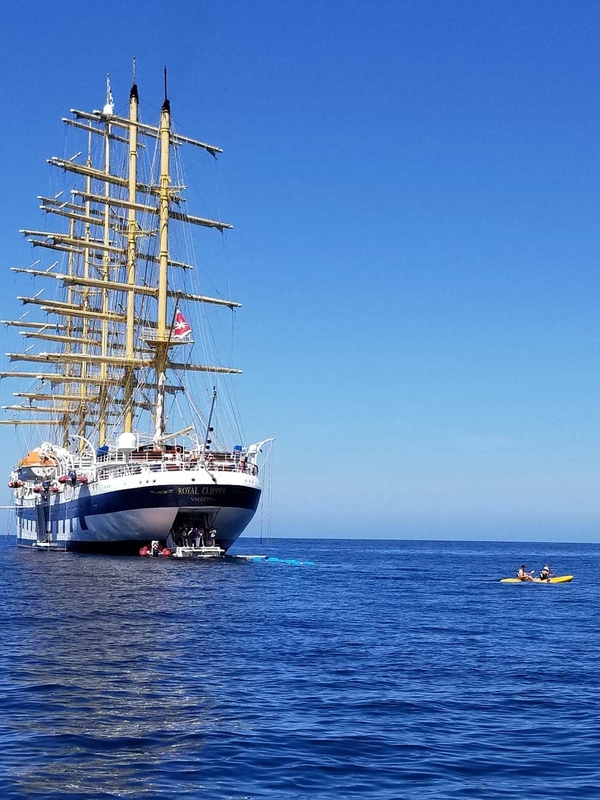 But if you’re a fan of smaller ships, unique itineraries and very authentic experiences, then consider a vacation with Star Clippers. You’ll be well cared for and have the experience of a lifetime. 80% of the guests that sail Star Clippers are repeat guests. They’ve fallen in love with the product (as have I), and return year after year, or book back to back sailings (or sometimes both!). The language onboard is English, though the cruise line is very popular in Germany as well, German can often be heard onboard as well. The staff is very multi-cultural, and many speak several different languages. I heard English, German, French, Italian and Dutch, just to name a few. If you’ve ever even remotely considered going on a sailing yacht, my recommendation would be to go ahead and do it. You absolutely will not be disappointed. Ready to cruise? Click or call AffordableTours.com at 1-800-627-3753 for exclusive savings!